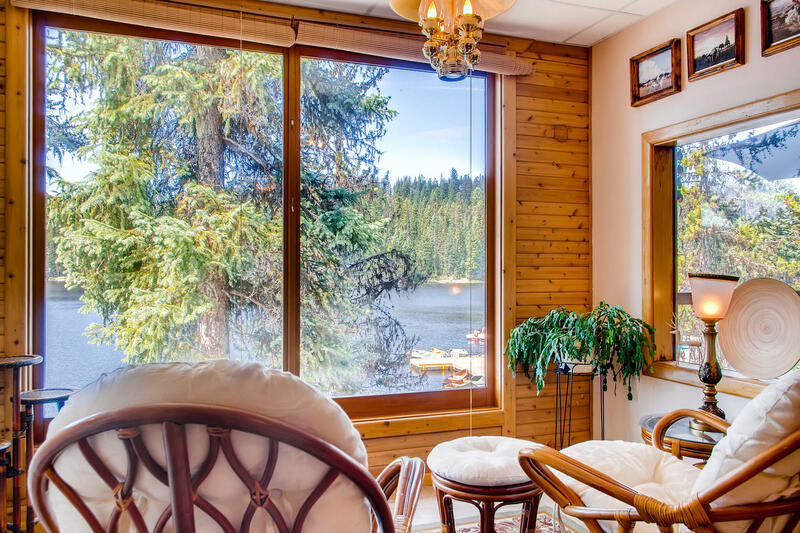 This spacious suite with lake views and lots of natural light makes the perfect place to relax with family, friends and even your pet too! 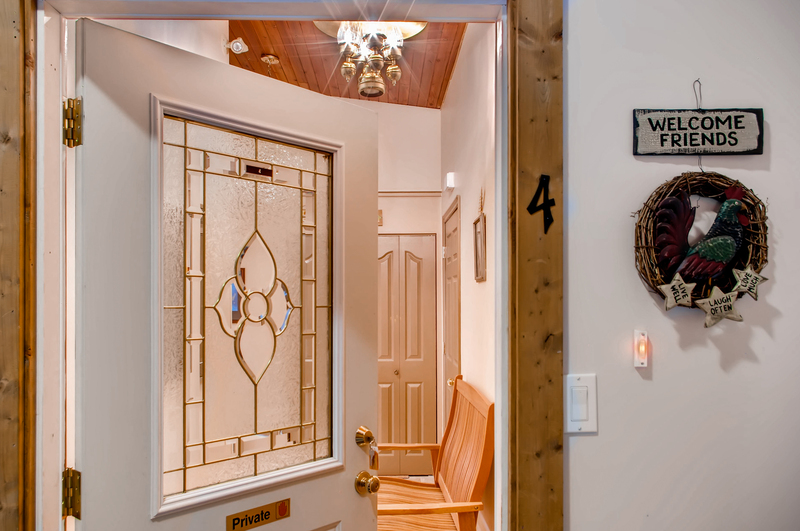 The door of this suite leads into an entry hall, with ample room to remove and store your shoes and coats. 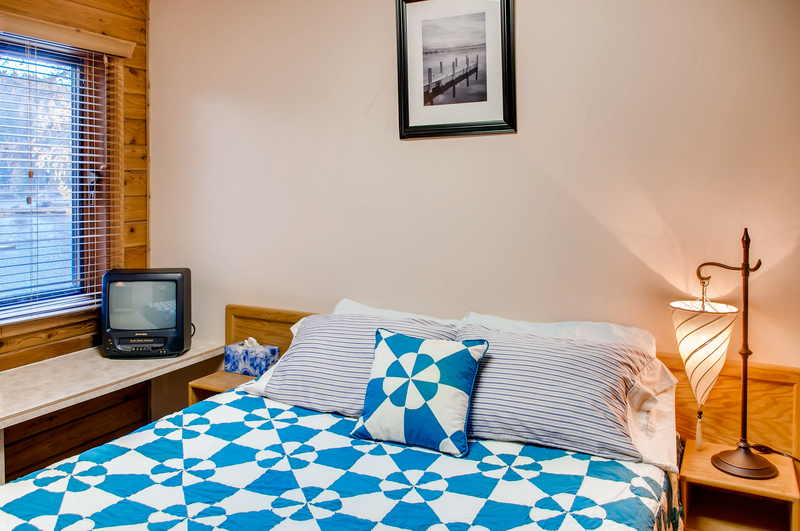 There’s a bedroom off the hallway, complete with a queen bed, wood panelled walls, built-in bedside tables and a small TV. 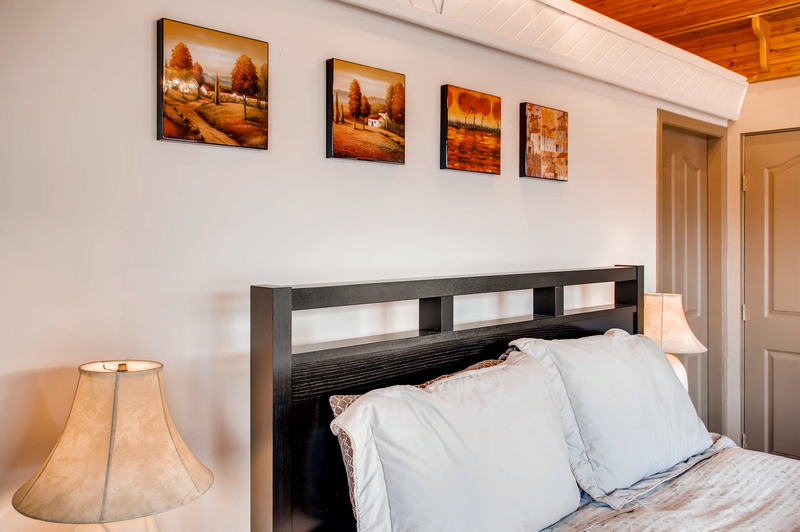 There’s a window to let in natural light and a two-way bathroom, accessible both from the bedroom and the hallway. 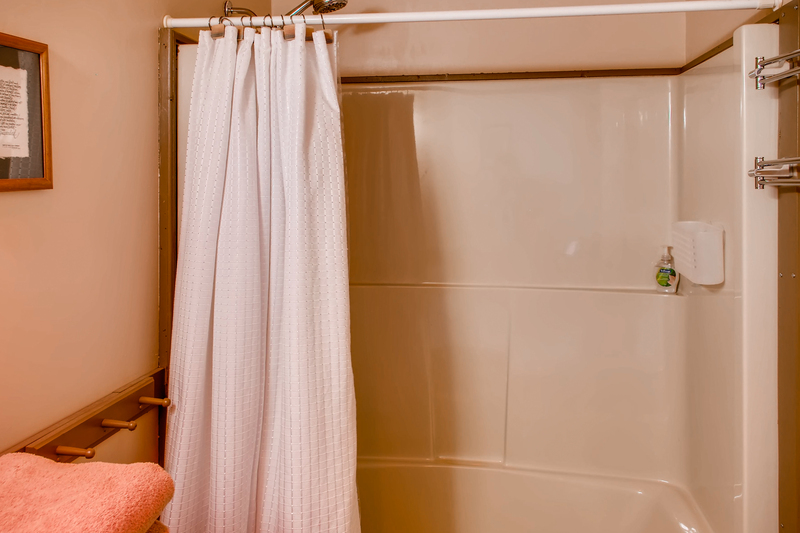 The bathroom has a modern shower, toilet and vanity. 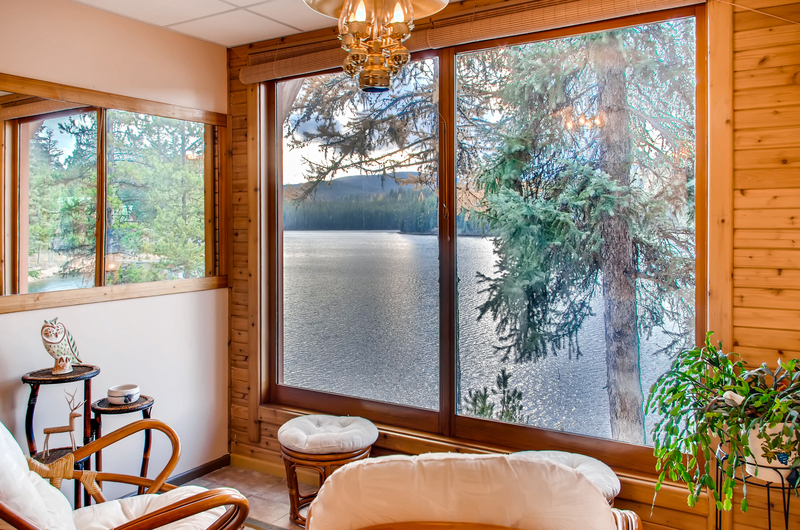 Walk around the corner to enter the living area, where you can’t help but notice the wall of windows which look out over the lake. You’ll also be struck by the amount of space you have to enjoy the views! 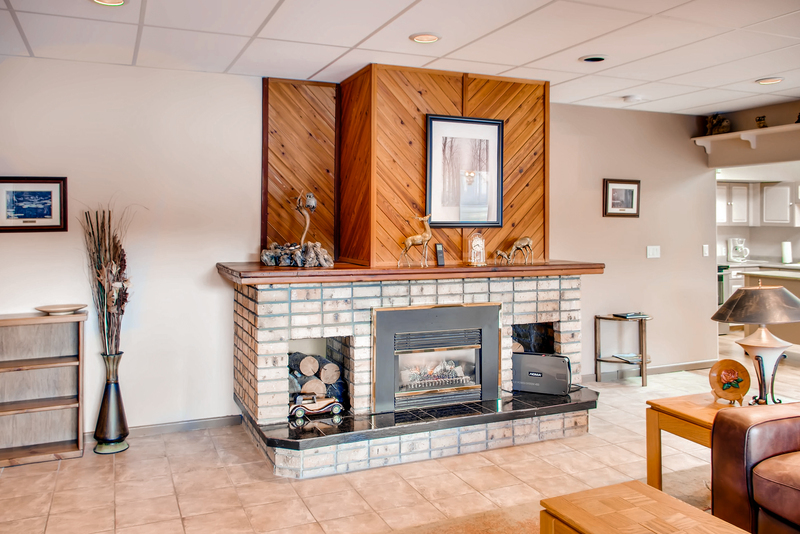 There is a corner lounge suite where you can sit and take it all in, an electric fire set into a timber panelled fireplace to warm you up on the colder nights and a large flatscreen TV with DVD player. 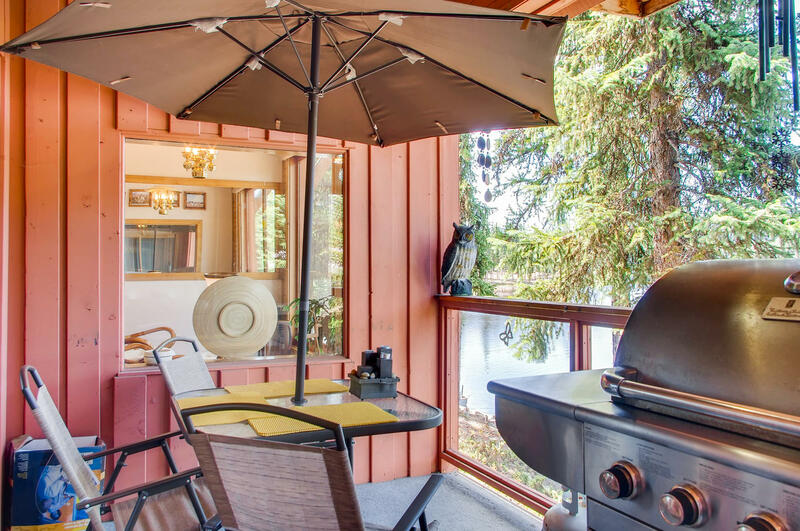 You’ll hardly be tempted to watch films on the TV when you can step out the sliding doors onto the deck with a BBQ and into your own private hot tub! 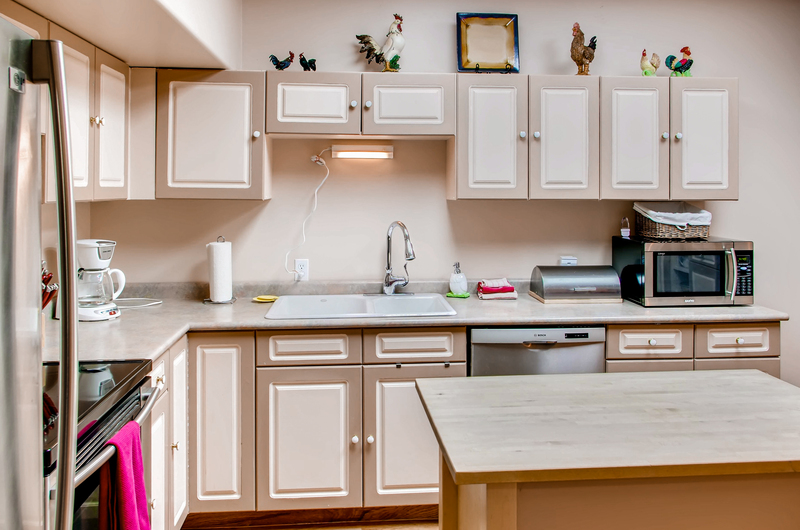 If you love cooking, this is the perfect place to cook up a feast. 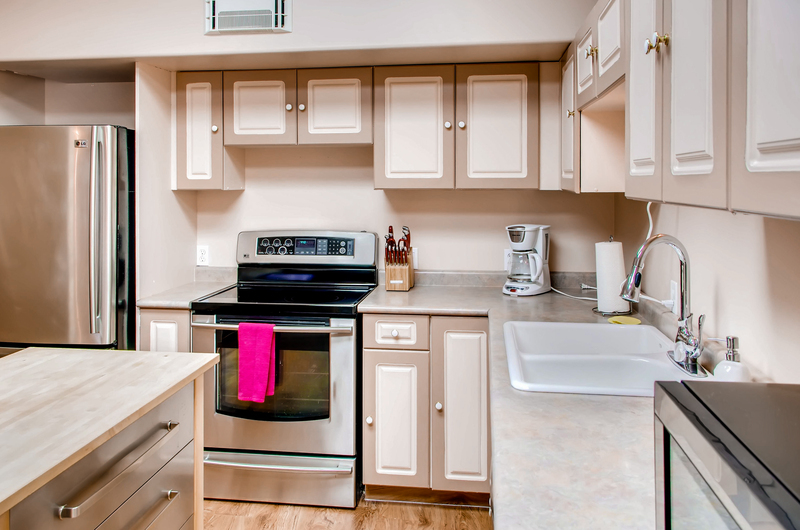 The kitchen is huge and has been fitted with high quality, stainless steel appliances including a large oven and stovetop and Bosch dishwasher. 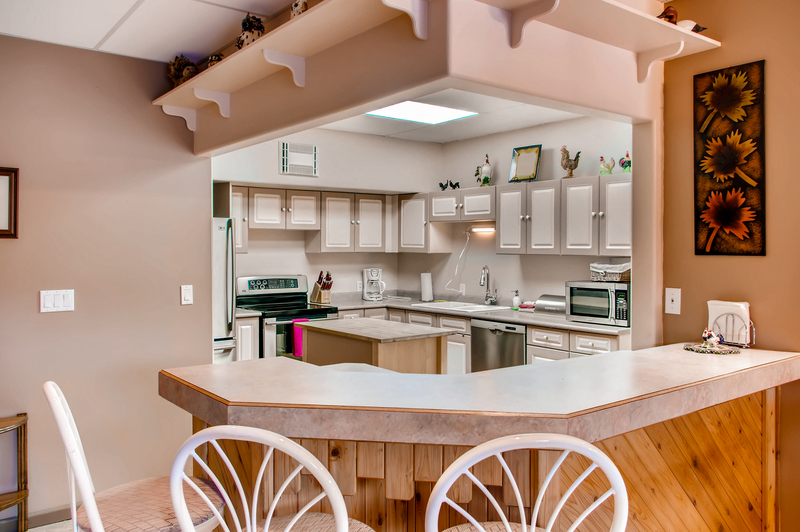 An island bench in the middle of the kitchen provides extra counter top space for food preparation. 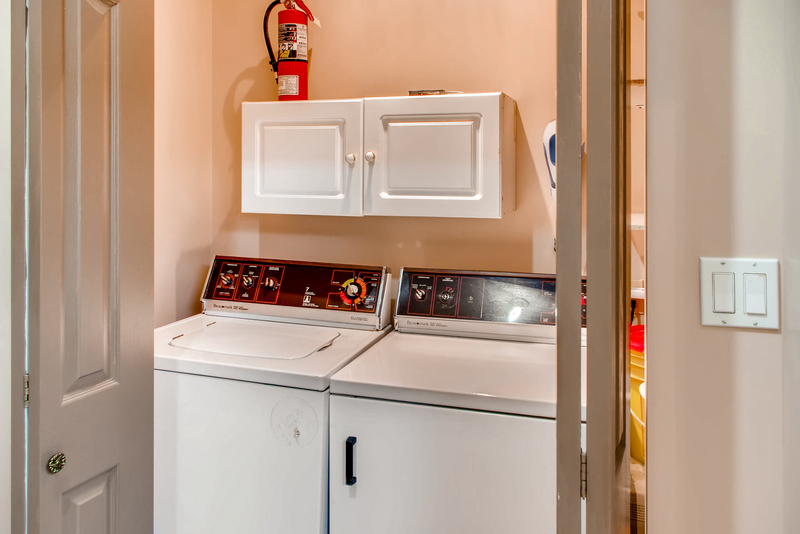 There is a large pantry for storing all the supplies you’ve brought with you and the kitchen leads to a washer and dryer, which is tucked away behind folding doors around the corner. Your guests or family can sit up at the breakfast bar and share a cheese platter with you while you organise the main meal. 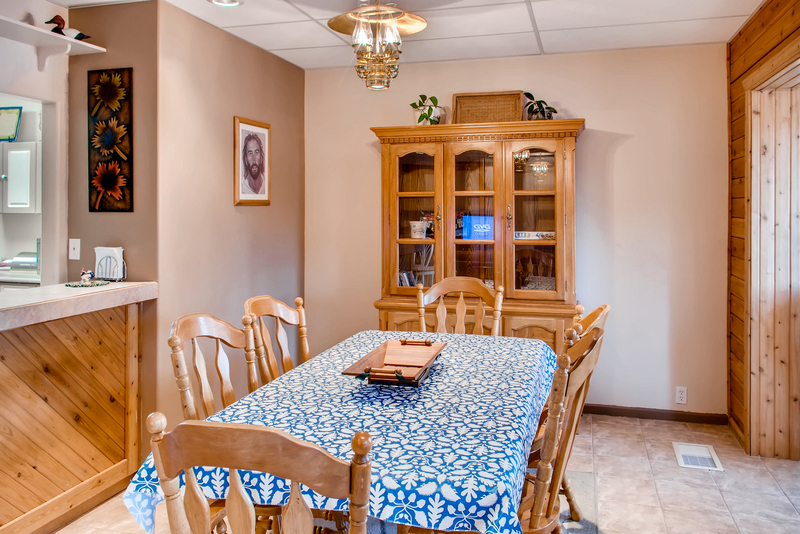 Eat at the 6 seater dining table which leads onto the sunroom, where there are two cushioned cane chairs with ottomans. 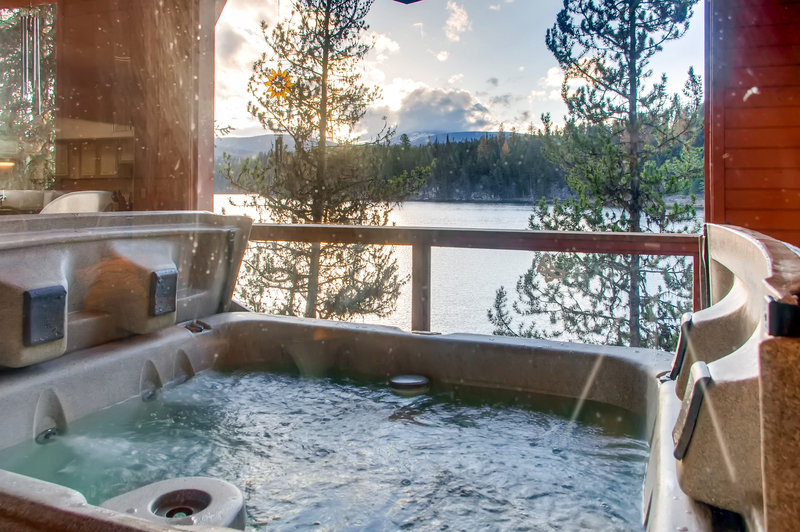 This is the ultimate place to unwind after a day of activities on the lake or walking the local trails. 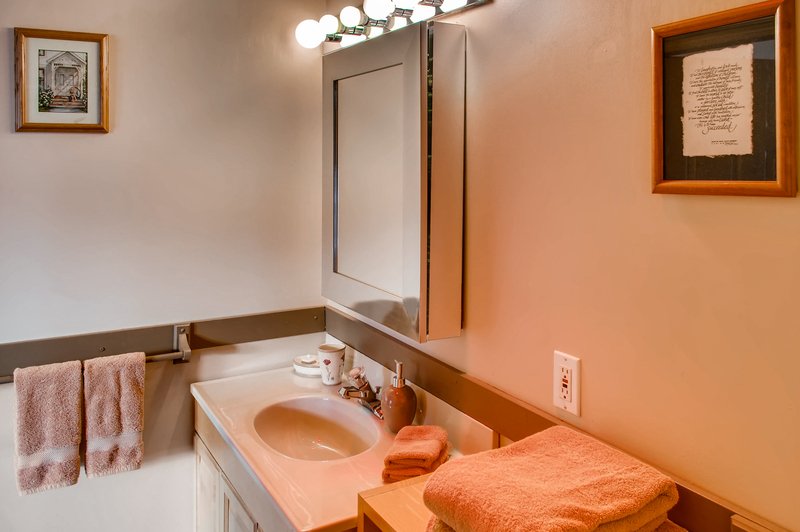 A large mirror on the wall further opens the space up so it feels even larger than it actually is. 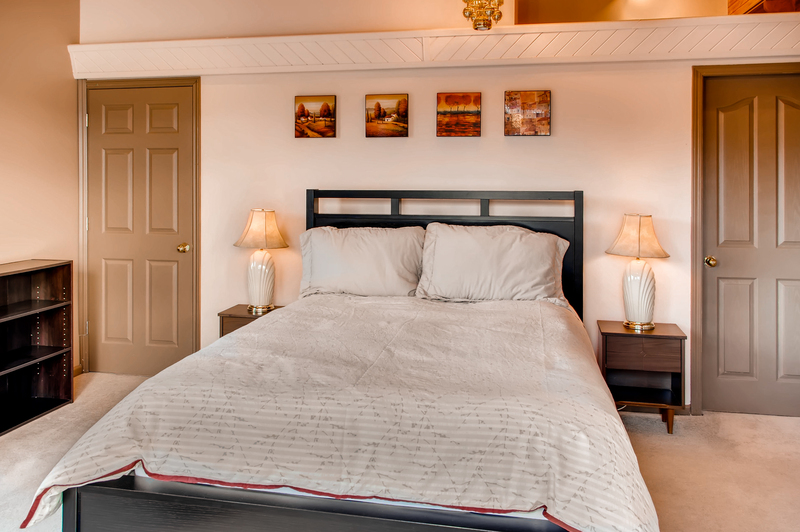 The master bedroom is located off the lounge area and also has sliding door access to the hot tub. 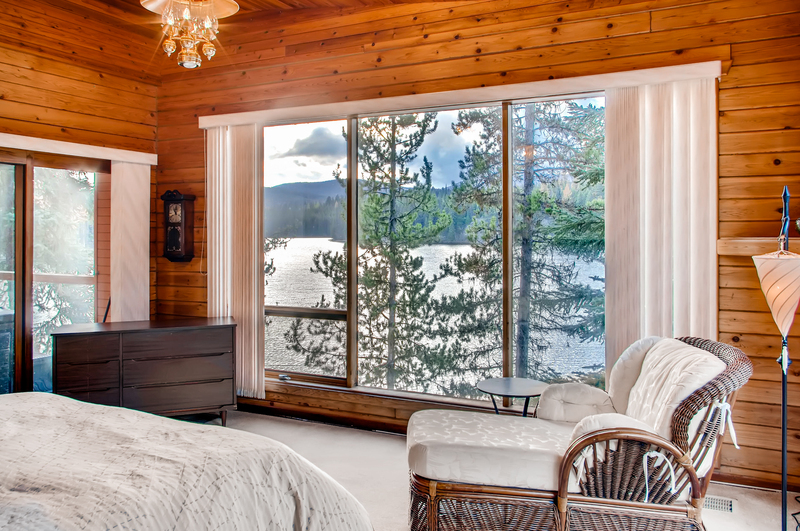 The queen bed faces a large window which overlooks the lake, so you can wake up and enjoy the view without having to get up! It also has a chez lounge which could be used as a daybed and makes a great spot for curling up with a book as the light streams in through the windows. 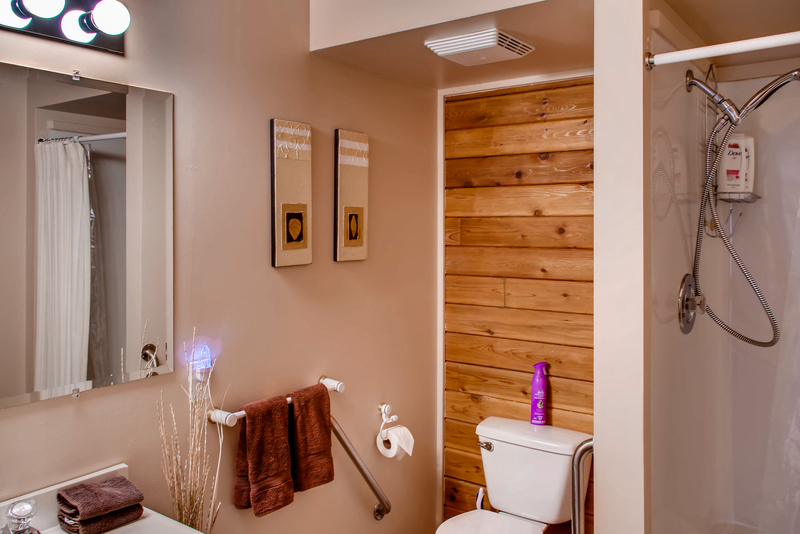 The ensuite has wood floors, a full bath with a shower and a wooden vanity. There’s also a walk-in-robe where you can store away any luggage you brought with you. The property also has free access to Boats at the resort on a first come, first serve basis. Any guest can help themselves to the oars, life-jackets and the boats. There is a total of 6 - 14ft row boats and 4 - 16ft canoes. -There is no cell phone coverage at Idabel Lake, WiFi is available from a third party company for an extra fee. Reviewed September 27, 2018 by Scott S. of calgary, AB United States. Updated on September 27, 2018. Review of stay from September 2, 2018 to September 6, 2018. We had a great time at Idabel Lake Resort. We were looking for a place that would allow us to "unplug", and we were pleasantly surprised when we arrived. 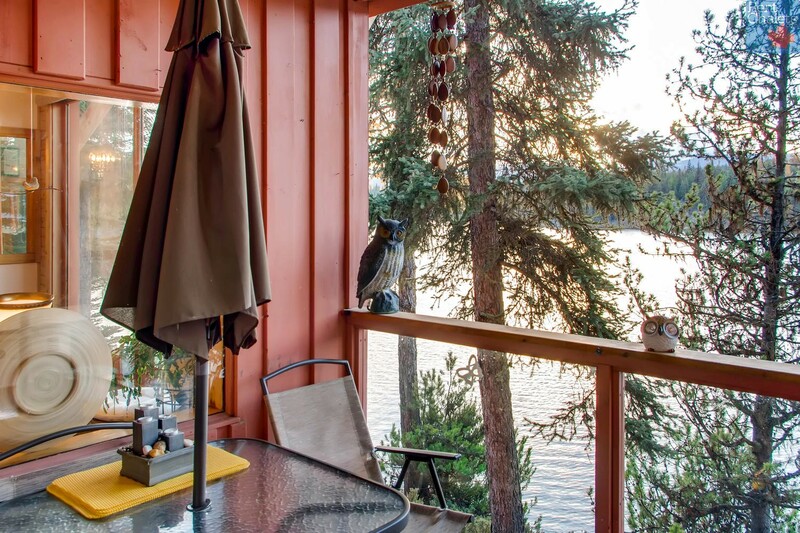 The resort is a short 10-minute drive off the highway down some dirt roads, which means no traffic, which just added to the serenity of the location. 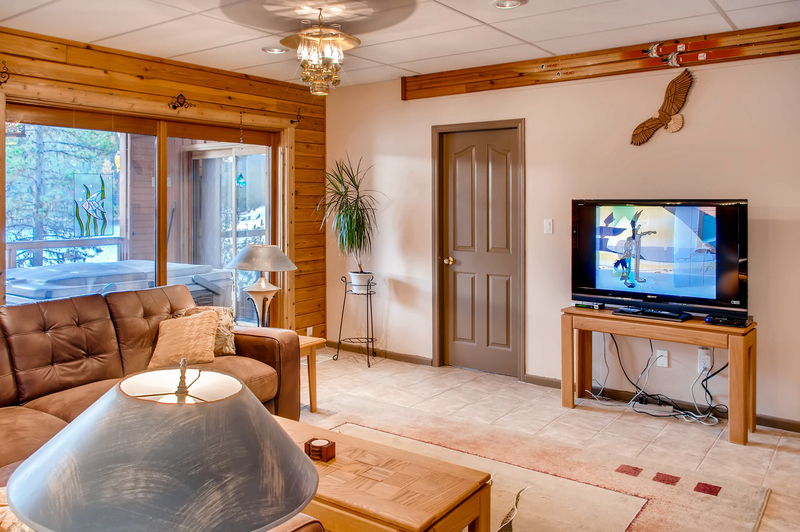 Our unit (Owls Rest) was large, clean and had sufficient amenities to make the stay very comfortable. 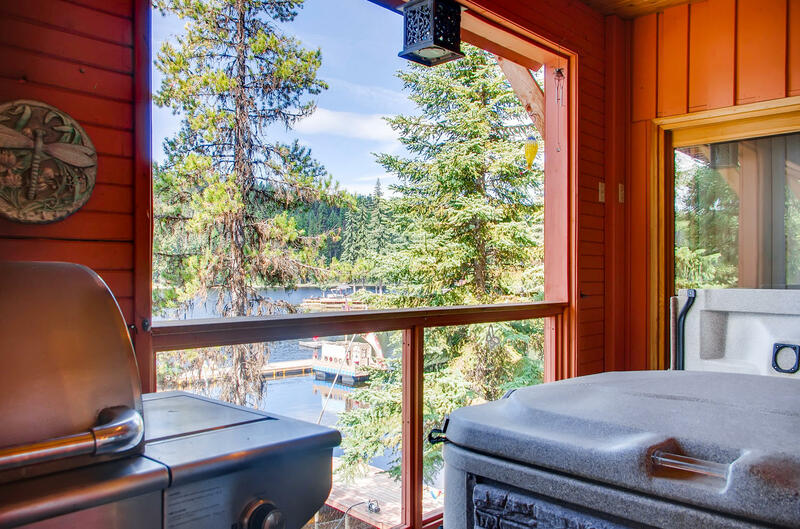 The unit had a large balcony with a hot tub and bbq overlooking the lake. Both were used daily. We truly enjoyed our stay, and would definitely return again. Reviewed July 4, 2018 by Shunxing Q. of Surrey, BC Canada. Updated on August 27, 2018. Review of stay from June 29, 2018 to July 2, 2018. My family love this suite very much. --the couch, the lazy chair and the beds are all comfortable. ---only the drink water is not filtered good enough, we have to bring 2 case of pure water from Costco. 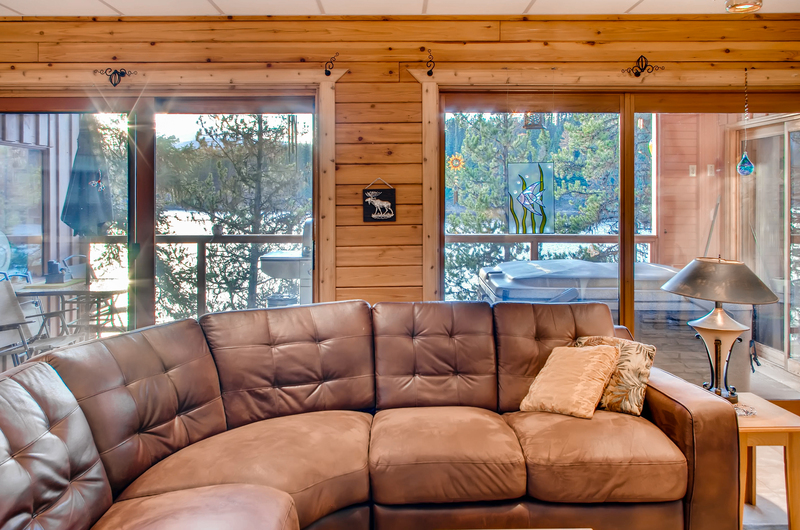 We are so glad to hear you had a great stay in Idabel lake. The lake is so peaceful and we are glad you felt very comfortable. We are glad you were able to have drinking water since the water from the taps is lake water and is discoloured. We hope to see you back at the lake again in the future. Reviewed May 23, 2018 by Unknown of Brandon Southeast, MB United States. Updated on August 27, 2018. Review of stay from May 19, 2018 to May 21, 2018. 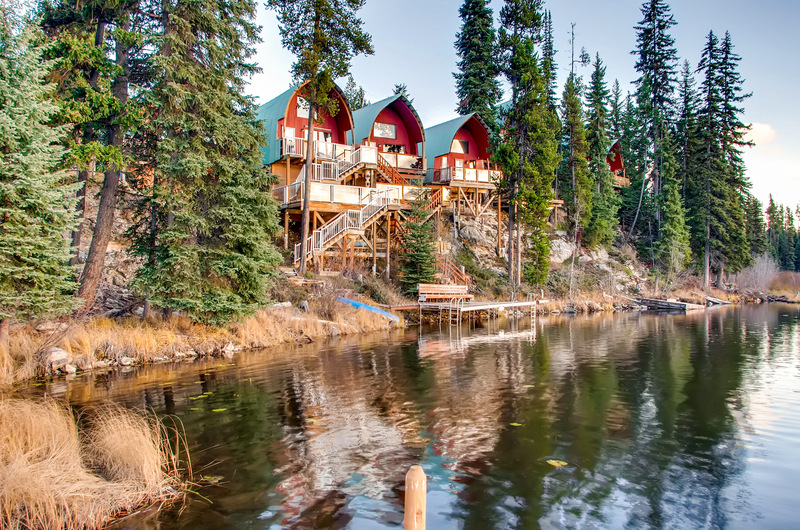 My Girlfriend and I spent the may long weekend in the owls nest retreat, it was a beautiful spot very peaceful and fully stocked with everything we needed, we spent time canoing on the lake, bbqing and roasting marshmellows by the fire while visiting with some other cabin owners. 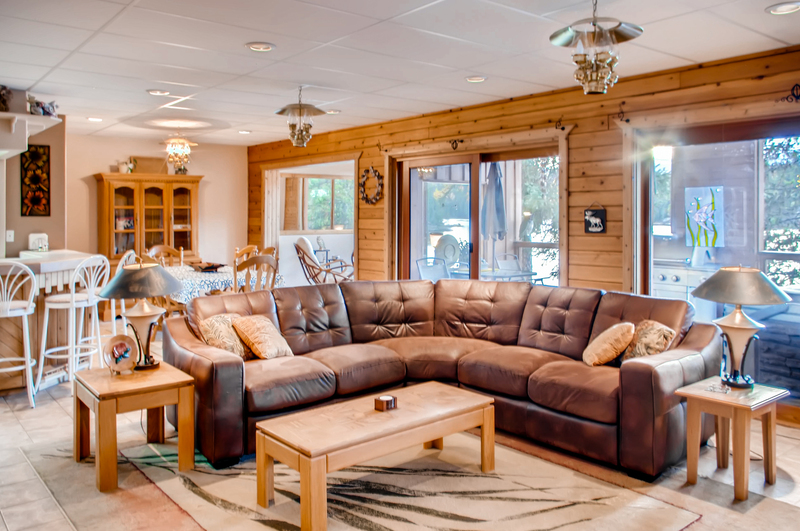 We are so glad to hear the two of you enjoyed your stay in Idabel lake. It is very peaceful and we are glad you got the opportunity to experience the lake first hand in every way it has to offer. We hope you will visit again in the future. Reviewed September 12, 2018 by Leahna R. of Kamloops, BC United States. Updated on September 12, 2018. Review of stay from September 7, 2018 to September 9, 2018. Reviewed July 15, 2017 by Neil W. of Kelowna, BC United States. Updated on July 22, 2017. Review of stay from July 11, 2017 to July 13, 2017. Hi Neil, we cant take credit for the weather but our aim is for you to have a fantastic time and were pleased you did. Reviewed December 23, 2017 by Unknown of Kelowna Southwest, BC United States. Updated on August 30, 2018. Review of stay from December 19, 2017 to December 21, 2017. I spent a couple of nights before Christmas with my kids at Owls Rest and it was very relaxing and peaceful. The suite was spacious and there was even a bathroom that was wheelchair accessible with bars beside the toilet which allowed me to stay there. (there are stairs up to the unit though) Kitchen is well stocked with cooking utensils etc, beds were comfy with very nice bedding. Games room right next door provided entertainment with pool table and air hockey table. 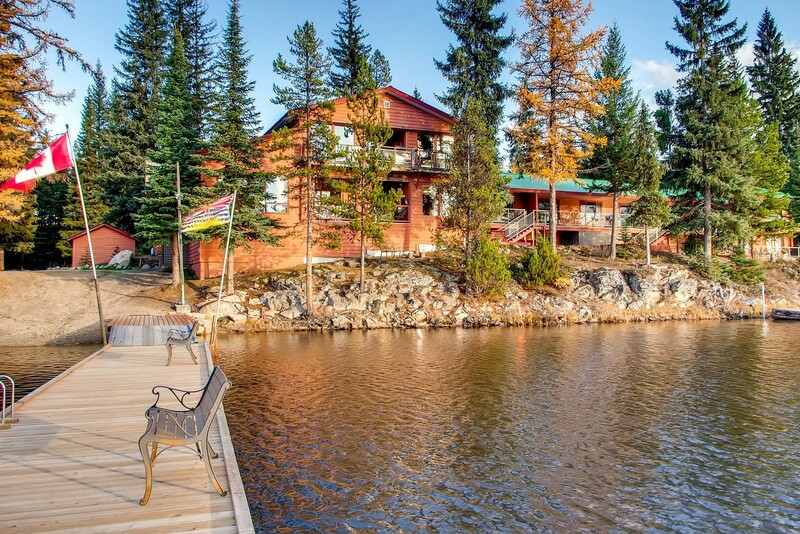 Gorgeous location and not far from Kelowna. 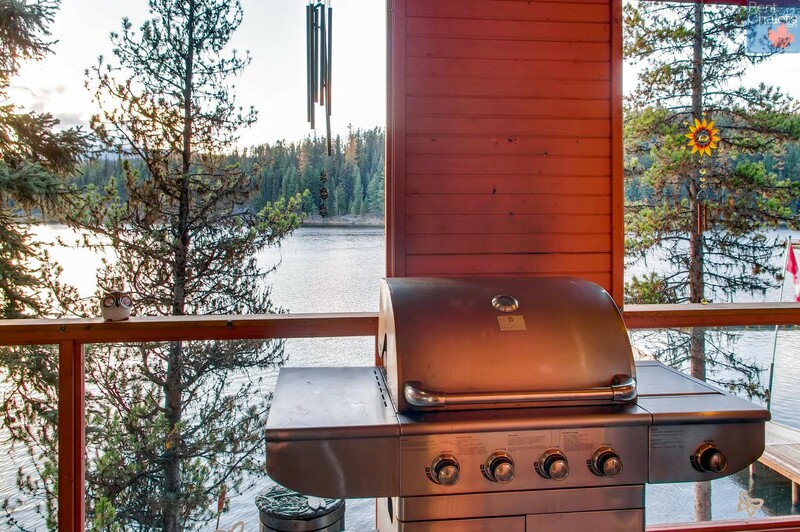 We are pleased to hear that you had an excellent stay at Idabel lake, and were able to make good use of the property and all it has to offer, especially the peaceful and relaxing environment. Reviewed January 18, 2017 by Joseph G. of Edmonton, AB United States. Updated on January 23, 2017. Review of stay from January 13, 2017 to January 16, 2017. 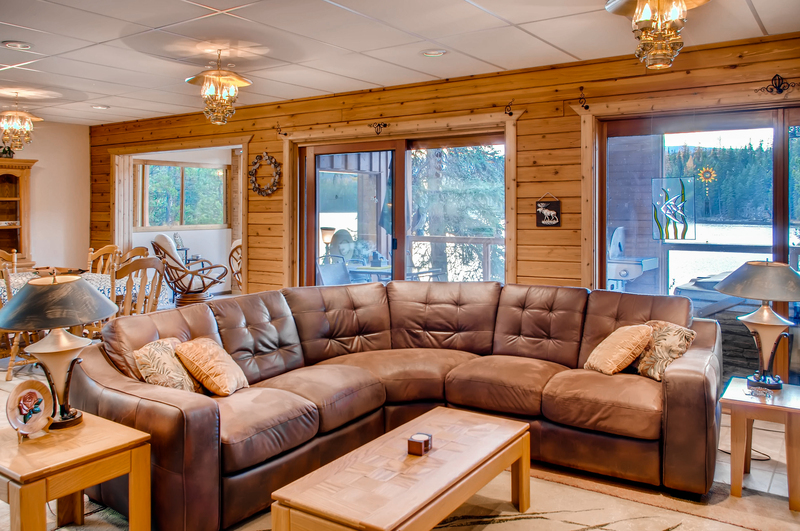 Thanks for taking the time to review your stay at Owl's Rest in Idabel Lake Resort. 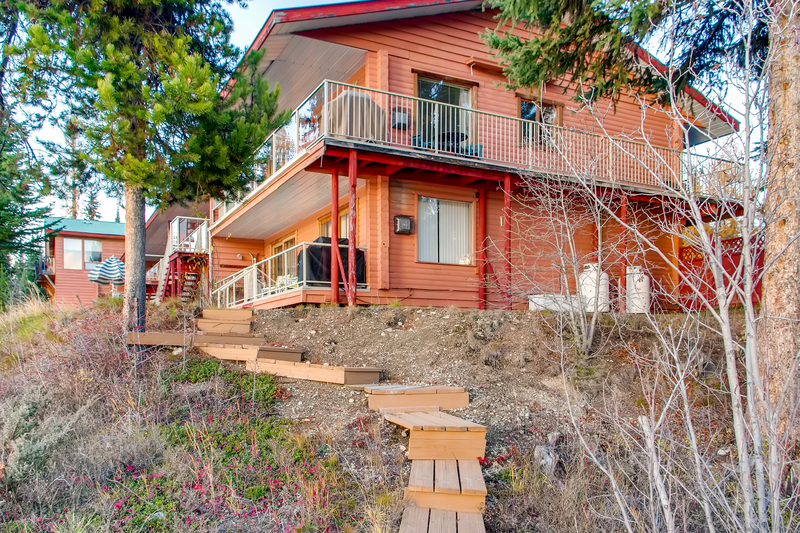 This is a beautiful property, very well equipped and with those stunning lake views you loved so much. 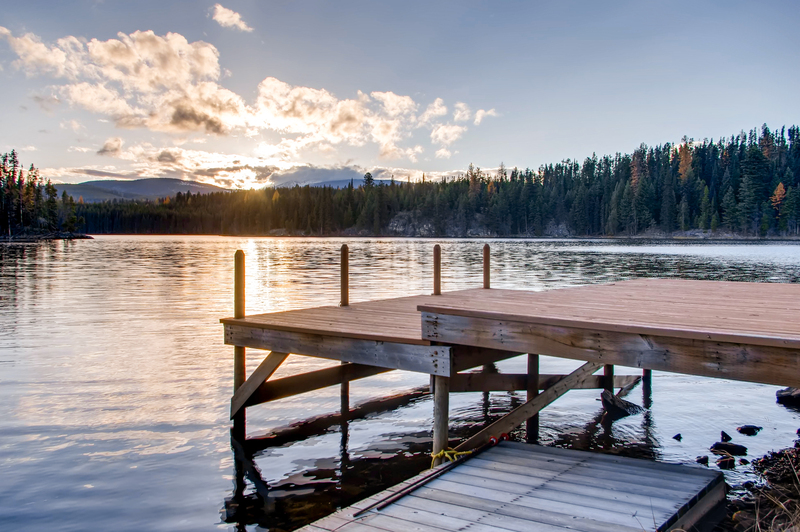 We're glad to hear you were able to relax and unwind during your stay, as well as make the most of the lake and surrounds! 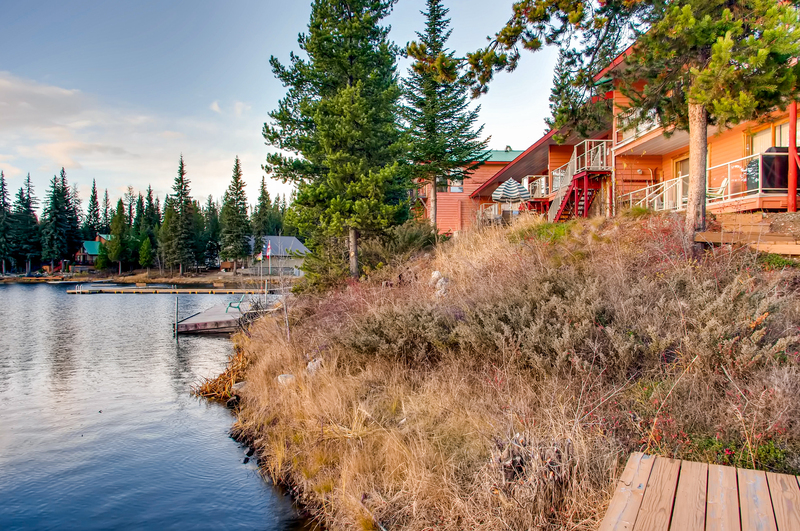 There really is a lot to do at Idabel Lake year round, with skating, cross country skiing and snowmobiling in Winter and hiking, swimming and fishing in the Summer. We'd love to welcome you back again when next you need to escape the rat race! Reviewed July 5, 2017 by Neil W. of Kelowna, BC United States. Updated on July 7, 2017. Review of stay from June 17, 2017 to June 19, 2017. 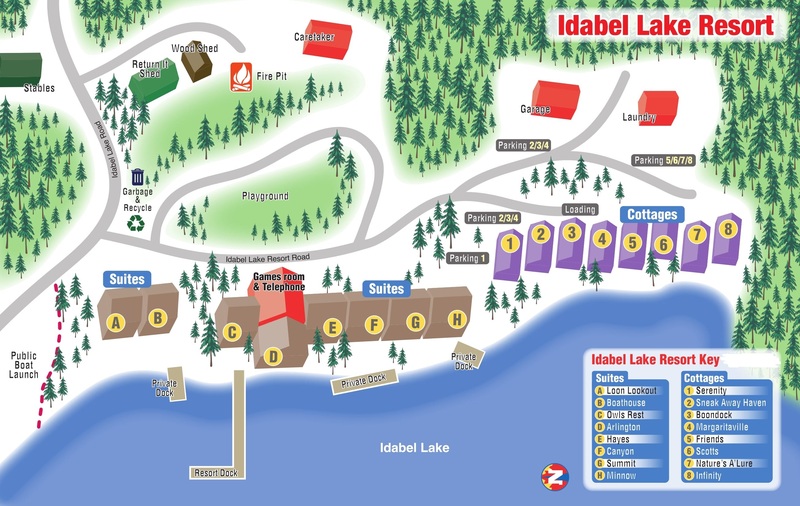 Around 12 of us rented places at Idabel lake, we all work "Up North" so have tried to plan a get together for a long time. We were impressed especially with The Owls Rest suite which was by far the best out of all the accommodation.The suite was large to fit everyone to eat together and socialise. 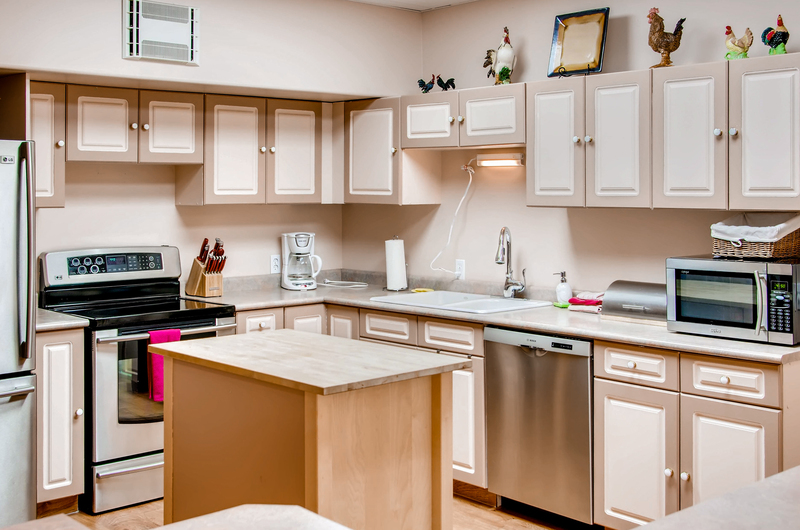 Well stocked with everything you needed for the stay, was just like being in our own kitchen. we enjoyed it so much we booked to go next week again. Reviewed August 25, 2017 by Ruth C. of Surrey, BC United States. Updated on August 31, 2017. Review of stay from August 19, 2017 to August 23, 2017. Reviewed February 5, 2019 by Isabel F. of Kelowna North, BC United States. 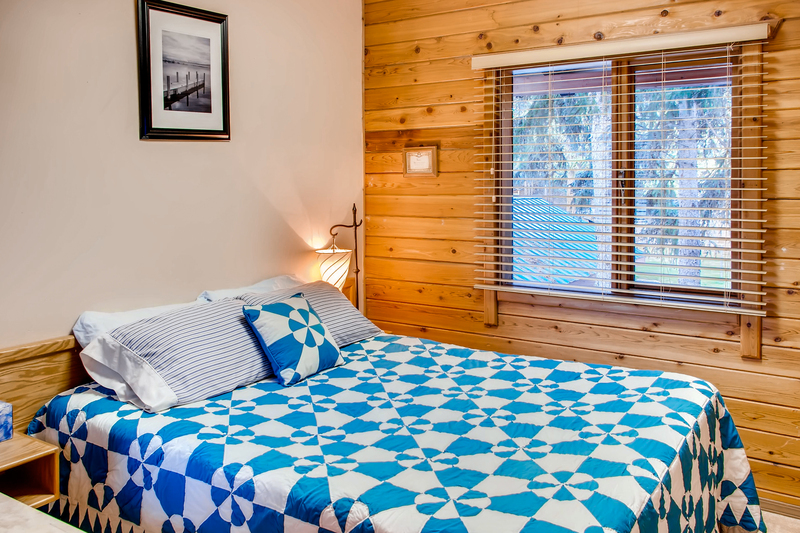 Updated on February 7, 2019. Review of stay from February 1, 2019 to February 3, 2019. 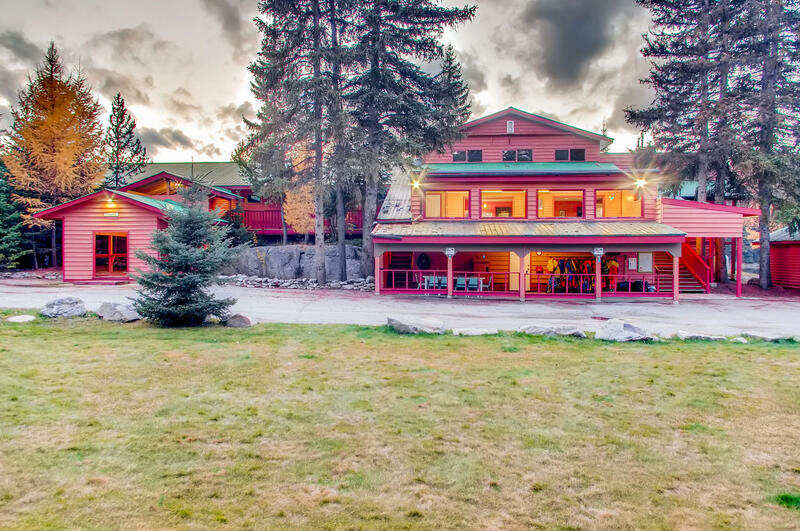 My family and I love this place, kitchen, tv room and dining room it’s big enough to accommodate a large family. Beds are very comfortable and clean. We are definitely coming back. Reviewed June 14, 2017 by Unknown of , United States. Updated on June 26, 2017. Review of stay from June 10, 2017 to June 12, 2017. Reviewed July 11, 2017 by Lindy R. of Moses Lake, WA United States. Updated on July 21, 2017. Review of stay from July 6, 2017 to July 9, 2017. The Owl's nest master bedroom is right above the lift pump for the septic system. (Life waste water up from the lake level to the septic level) When it engages it is quite loud in that room and then turns off with a pop. If you are a light will keep you awake. Hi Lindy, good information on the pump sound, glad the stay was a success. Reviewed June 23, 2018 by Unknown of West Kelowna, BC Canada. Updated on August 27, 2018. Review of stay from June 19, 2018 to June 21, 2018. This rental was beautiful with a few broken qualities! Upon arrival suite was clean, but as evening arrived we were eaten by mosquitos, because of broken screens in bed rooms, we tried to fixed with tape found. 1 window no screen!!! When we tried to shower main bath it wouldn't drain had to plunged it ..yuck!!!! O my god the **** that came up? went to BBQ our supper could not get any heat looked underneath notice the bottom tray was rotted and falling out. We manufactured a temp fix in order to use. At the docks we were greeted with water filled boats with beer cans floating ,oars in need of repair also canoes, paddle boat filled with water . Tried several times to reach caretaker, when we finally did make contact he was more than helpful. We did point out the problems in suite...Not sure maybe he was on days off when we were there? Disappointed from last years stayed. ( I took pictures ) because of the beauty and tranquil setting and being together as a family I would recommend it. but needs to have its luster and charm reinstated. We are so sorry the property lacked luster for you. It is a very peaceful lake and hope you still enjoyed your stay. We have made note of the fixing that needs to occur around the property to bring it back to a charming cottage. If you find anything needs fixing while staying next time please do not hesitate to call us directly so we can ensure you have a relaxing stay. Reviewed January 4, 2017 by Eddy A. of Richmond, BC United States. Updated on January 10, 2017. Review of stay from December 18, 2016 to December 22, 2016. The location, view and surroundings are amazing. The place is very serene and relaxing - perfect getaway from the big city. Note that there were quite a few spiders inside (winter) so something to consider. Thanks for taking the time to review your stay at Owls Rest. 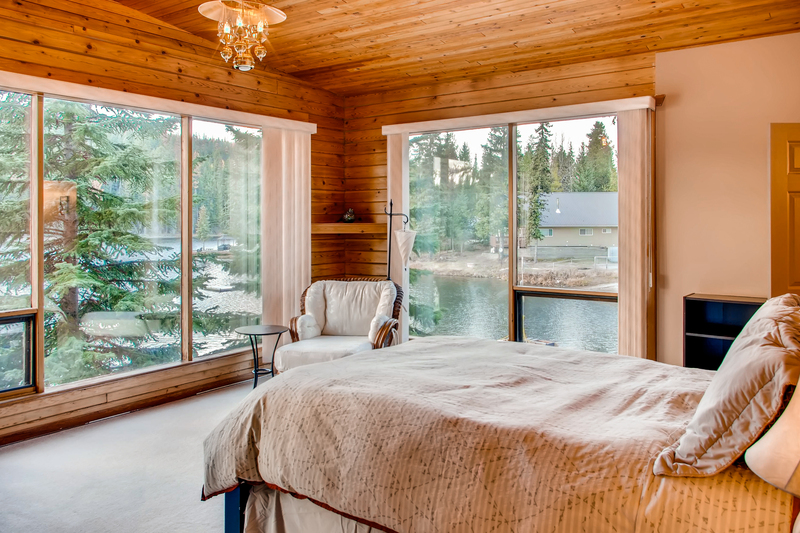 We're so glad you enjoyed the suite and the stunning surrounds of Idabel Lake! We appreciate your feedback about the spiders as we haven't had any similar issues in the past but we certainly do our best to keep our properties free from creepy crawlies and remove them when we come across them. 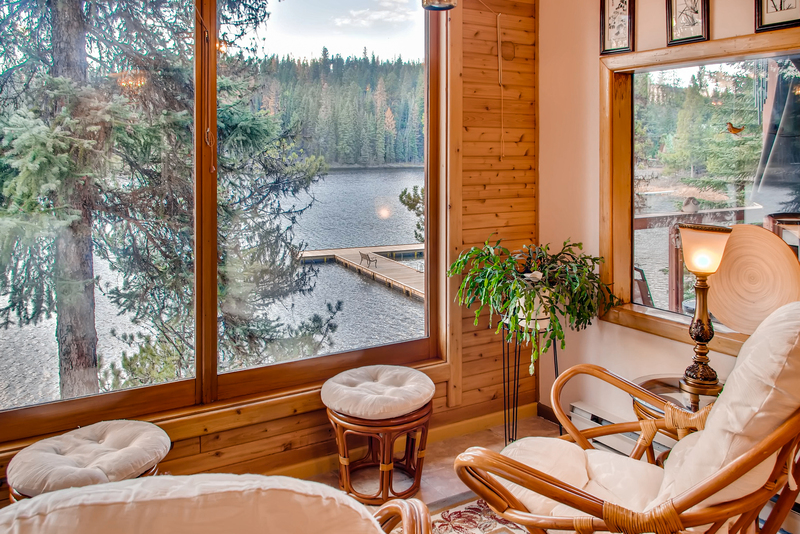 Hope to welcome you back to Idabel Lake when next you need a relaxing getaway! Reviewed September 14, 2017 by Tai W. of Chilliwack, BC United States. Updated on September 22, 2017. Review of stay from August 25, 2017 to August 29, 2017. We loved our suite and would have been back except that it was NOT dog friendly. Dogs were not allowed on the beach. It ruined our holiday and we won't be back because of it. They could have either made a dog friendly beach section or at least allowed dogs on leash. 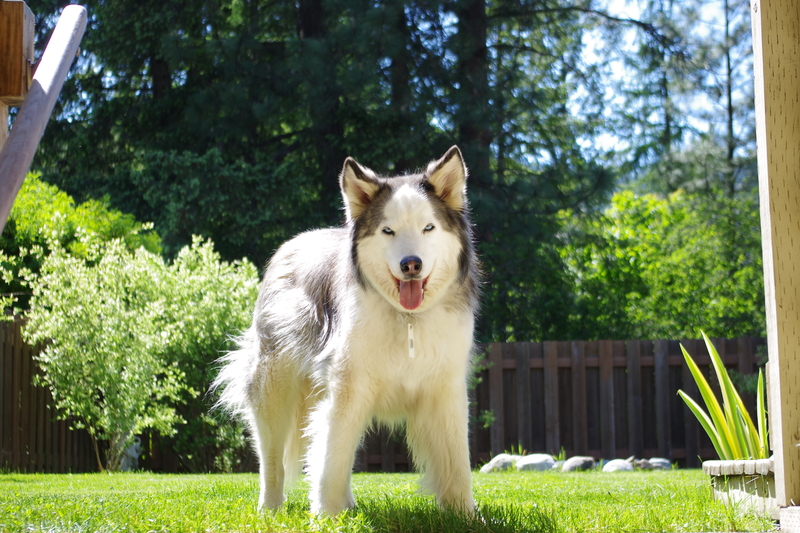 We were vacationing with our family dog and expected her to be welcome since it was advertised as dog friendly.